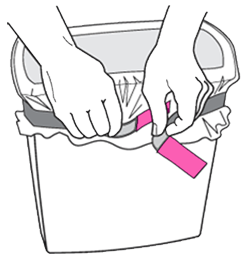 Can Straps® are an easy-to-use solution for an everyday nuisance – they keep plastic trash liners from falling into waste containers of all sizes. We created this product to reduce waste, frustration, odor and ickiness associated with emptying trash bins! Made in USA. Suitable for indoor and outdoor use – sensible for places as varied as home, office, hospital, construction sites, camping sites, etc. We plan to design and manufacture other products that are simple to use and reduce frustration. Your comments or suggestions are always welcome. Please email them to comments@canstraps.com.